Ladies, washing your face with a facial cleanser that is specifically made for your skin is a cardinal rule of skin care. If you want healthy skin, water alone won’t cut it (neither will your body soap.) You need a cleanser – a really good one! You don’t have to clean out your wallet to find “the one.” These drugstore face washes will leave your wallet intact but clean out dirt, makeup, and unwanted impurities effectively from your skin. Read on to find out more. This drugstore classic is a low-foaming formula that removes excess oil and dirt without drying or irritating your skin. It is also non-comedogenic, making it the perfect option for sensitive skin. Make sure to use this twice a day and follow up with your favorite moisturizer afterward. 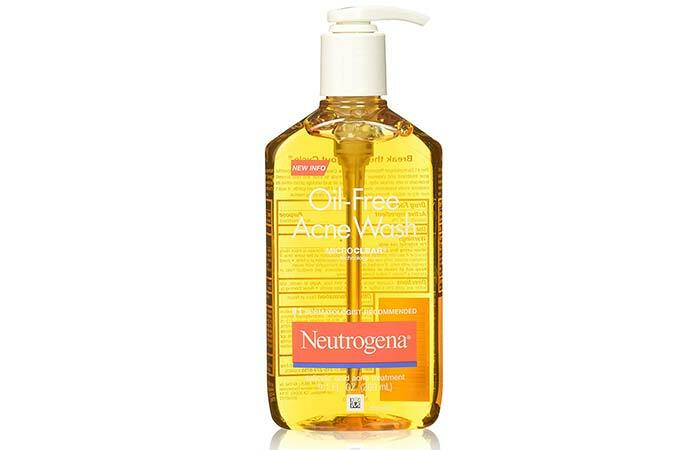 If your skin is prone to breakouts, Neutrogena Oil-Free Acne Wash is the ideal cleanser for you. It contains 2% salicylic acid that helps unclog pores and fight acne efficiently. You don’t have to worry about the formula drying your skin out as it maintains the pH balance of your skin while thoroughly cleansing it. 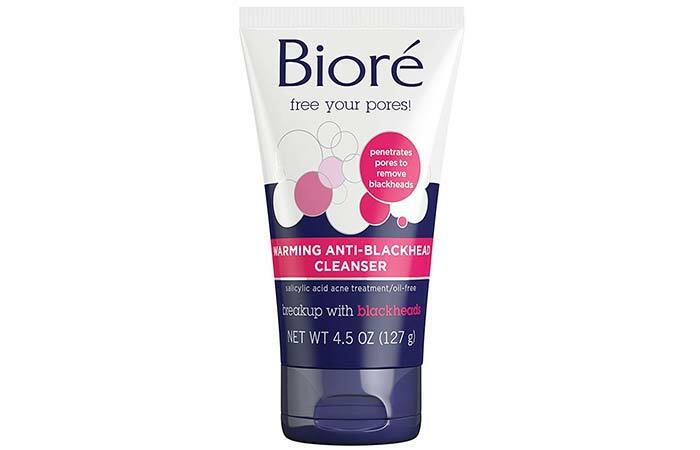 The Bioré Warming Anti-Blackhead Cleanser is the secret weapon for gorgeous, clear skin. Its formula feels warm as you lather up – the heat opens up your pores, and the clay draws out deeply embedded impurities from your skin with much ease. However, using other topical acne medications right after using this face wash may only increase dryness. This is a must-try for normal, acne-prone, and oily skin. 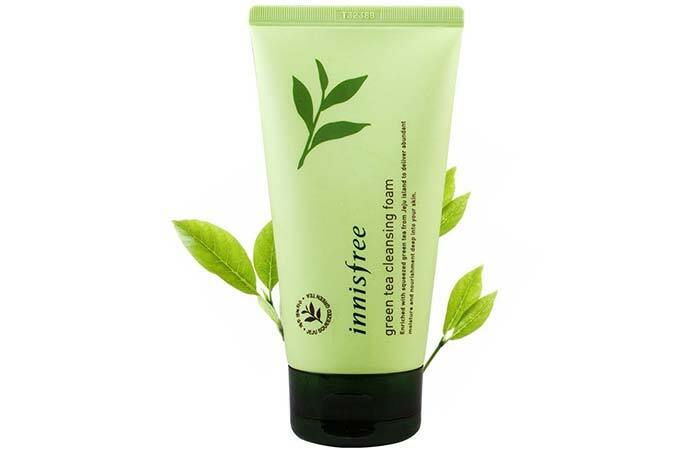 If your skin is on the drier side and still needs thorough cleansing (sans the excess dryness) – try Innisfree Green Tea Cleansing Foam. This Korean face wash works incredibly well in getting rid of dirt and sebum while helping your skin retain its moisture with fresh Jeju Green Tea. Its formula has about 88% natural ingredients (plant extracts working as antioxidants), making it a sensible option for sensitive skin. This extra-gentle cleanser from Garnier helps remove makeup, excess oil, and impurities from your skin while nourishing it and preventing dryness. Its formula is rich in glycerin and free of alcohol, sulfates, and parabens, making it ideal for all skin types. If you can’t stand fragrance in your cleanser, this one’s completely unscented. 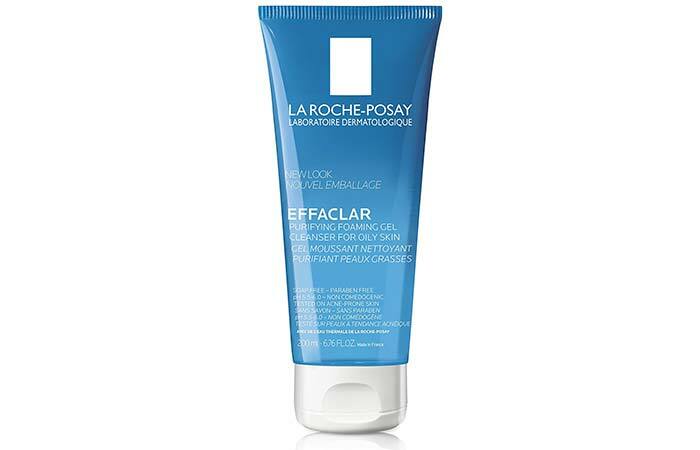 This gel cleanser from La Roche-Posay cleanses dirt and oil while maintaining your skin’s pH balance. It contains zinc, which is a miracle ingredient to fight acne and blemishes. Its formula also heals and rejuvenates tired or dull skin. 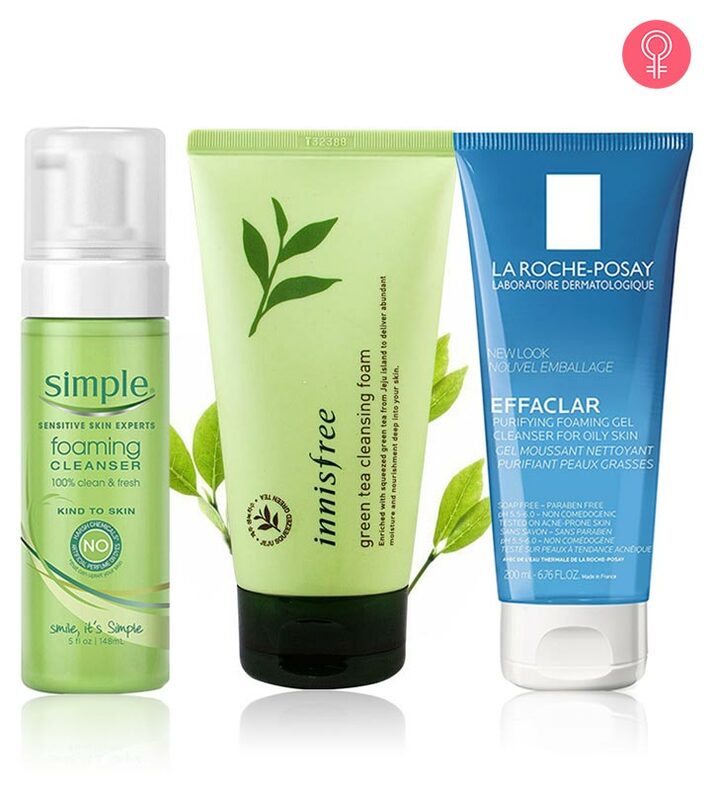 If you are someone with very oily and acne-prone skin, this face wash will do wonders for you. Looking for a quick solution to achieve brighter and more luminous complexion? 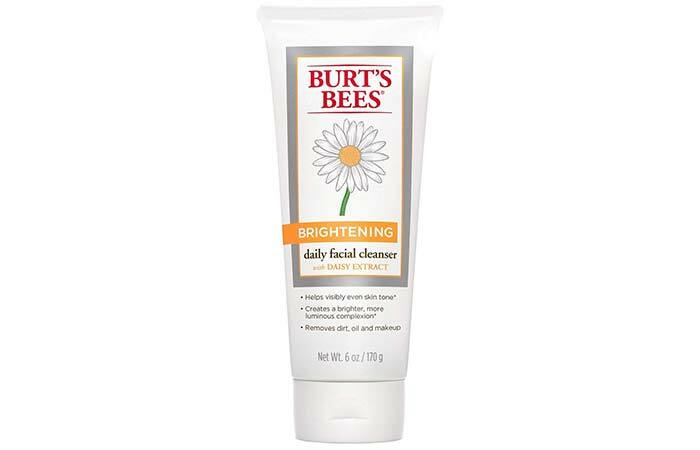 This cleanser from Burt’s Bees helps visibly even out skin tone while effectively removing dirt, oil, and makeup. It’s made out of 98.6% natural ingredients that work impressively to diminish the appearance of dark spots and discoloration. 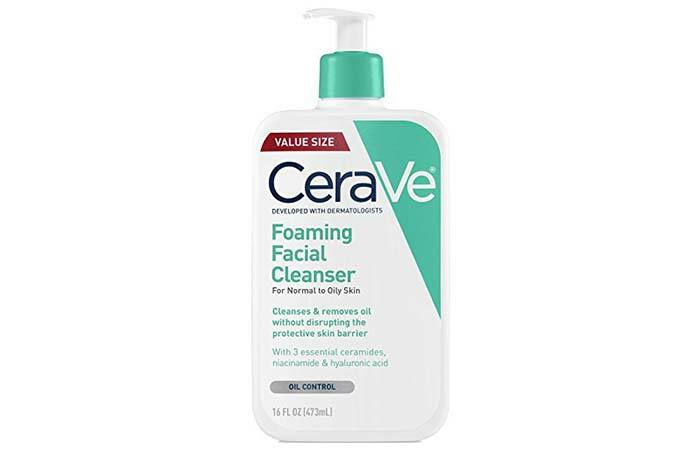 If you struggle with acne and breakouts on the reg, this cleanser from CeraVe is one you can’t miss. Its gentle foam deeply cleanses pores without disrupting the skin barrier. Its formula contains essential ceramides and hyaluronic acid to help keep your skin plump and supple. 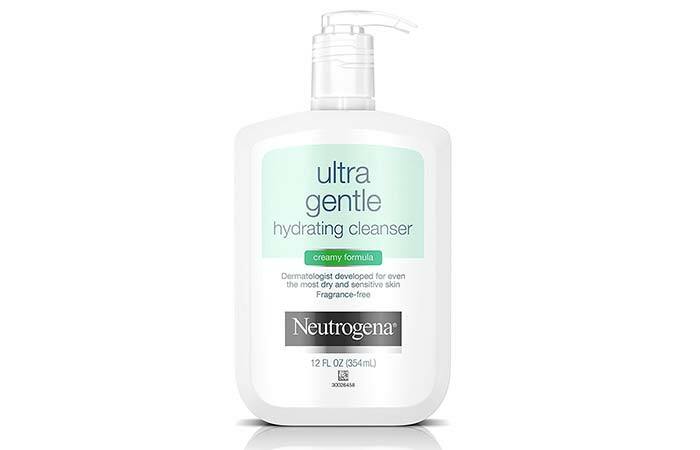 For those of you with concerns like acne, eczema or rosacea – the Neutrogena Ultra Gentle Hydrating Cleanser is a must-try. It is uniquely formulated with minimal and skin-friendly ingredients that remove excess oil, dirt, and makeup effectively. It is so gentle that it’s safe on even the most sensitive skin types. 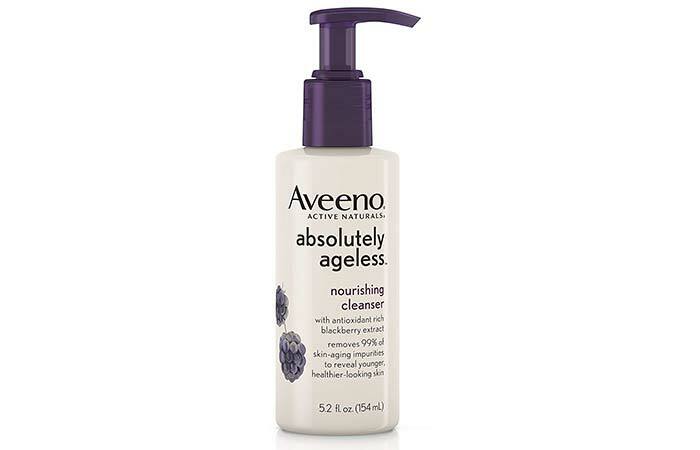 The Aveeno Absolutely Ageless Nourishing Cleanser is a wonderful start to achieving younger-looking skin. Its anti-aging formula removes 99% of skin-aging impurities like oil, dirt, and makeup build-up. This contains Blackberry Complex that helps to reduce the visible effects of elastin and collagen loss while nourishing your skin. 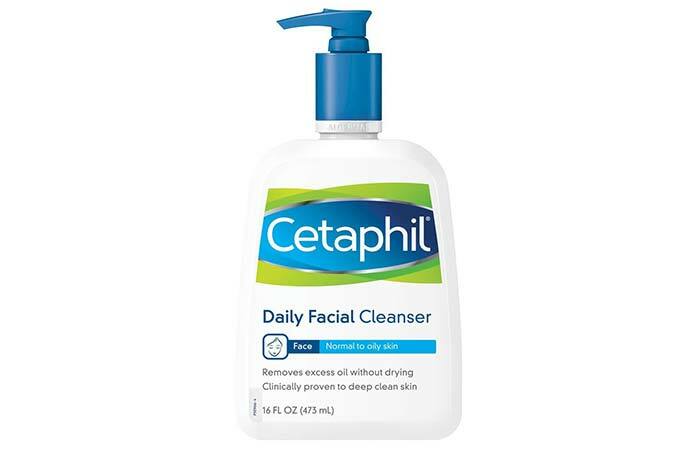 If you are someone with aging or mature skin, this is a great cleanser for daily use. 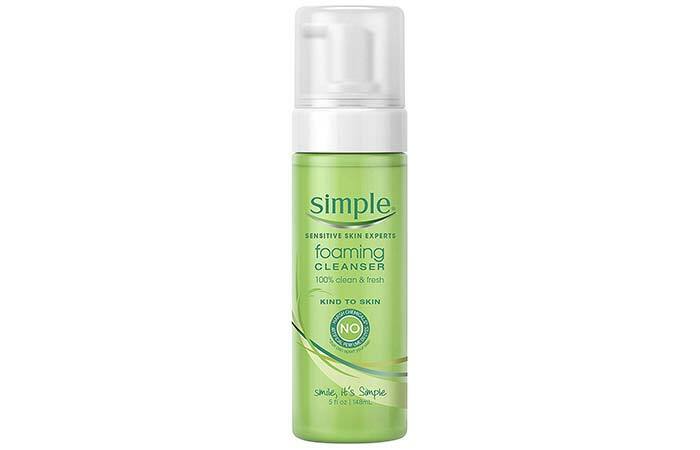 If you’re on the hunt for a sulfate-free face wash that is also free of added fragrances and dyes – this foaming cleanser from Simple is the best choice. It is the perfect blend of natural, skin-loving ingredients. It keeps your skin clean without drying it out excessively. This formula is ideal for oily and combination skin types. 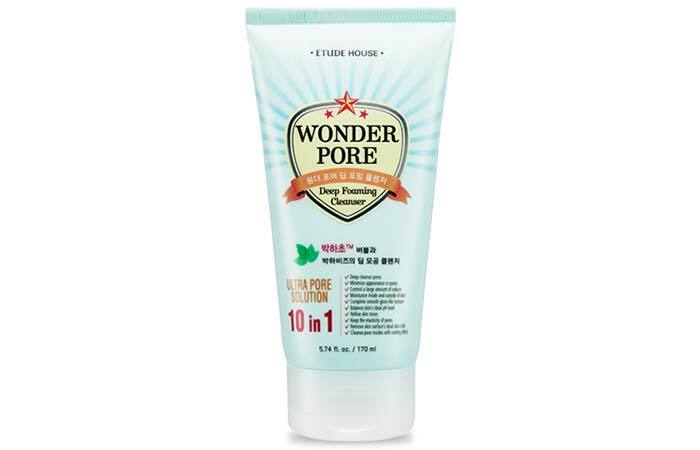 The Wonder Pore Deep Foaming cleanser by Etude House is one of the most popular K-beauty products. This is a miracle formula for those with oily or combination skin and large pores. It helps control excess oil and sebum while balancing the pH levels of your skin. This is especially great for summers as its peppermint essence provides a fresh, cooling effect to your skin. Clean & Clear’s Deep Action Cream Cleanser lifts dirt and impurities from deep inside your pores. This formula is perfect for dull and oily skin. It contains salicylic acid and menthol that leaves your skin feeling cool and refreshed. If you think your skin deserves extra cleansing on certain days, this face wash works well with the Clarisonic brush as well! 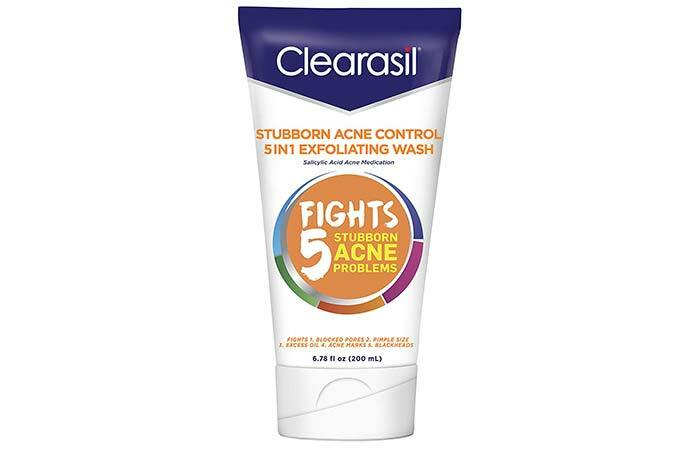 For acne-prone and problematic teenage skin, this medicated face wash from Clearasil is definitely worth trying. It helps unclog pores and reduces pimple size, excess oil, and shine. It also helps minimize the appearance of blemishes and treats redness. Here’s the interesting part – you can use this both as a cleanser and a mask when your skin needs extra attention. 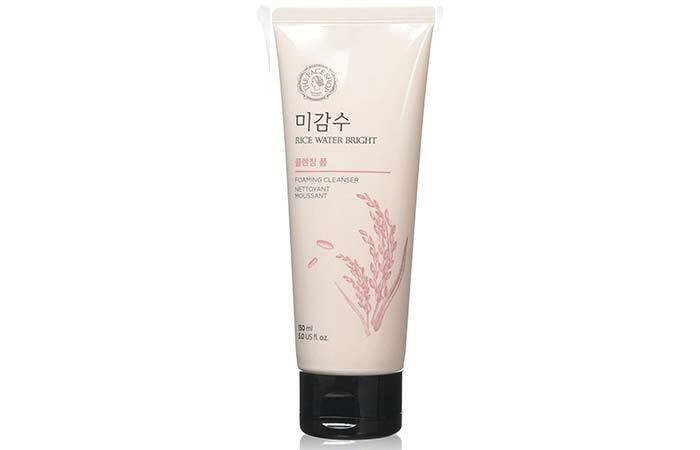 Enriched with rice water extracts, this cleansing foam from the Korean beauty brand, The Face Shop, helps even out your complexion like no other cleanser. Rice water is a natural solution for brightening your skin, and this formula does a wonderful job in the radiance department. If your skin tends to lack vibrancy and glow, do give this a shot. 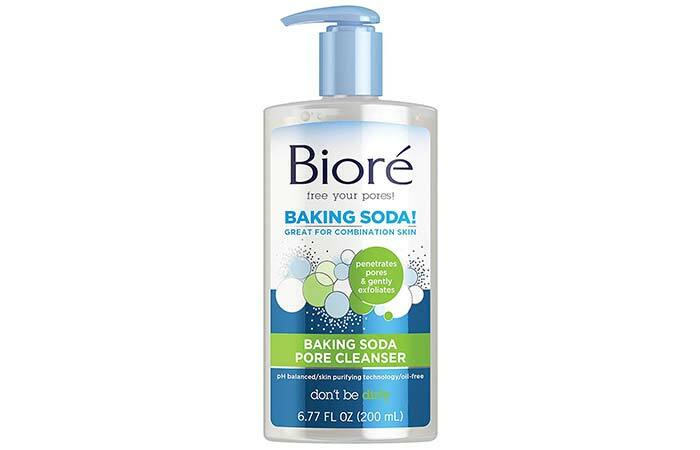 This daily cleanser from Bioré contains natural baking soda that leaves your pores feeling 91% cleaner. It deep cleans and exfoliates dry, flaky skin, so you’re left with a beautiful, smooth surface. The pH-balanced formula also happens to be oil-free, and it won’t clog your pores or break you out. It’s the perfect solution for combination and oily skin. This super-gentle cleanser from Cosrx makes for the best morning face wash. Its low pH formula won’t strip your skin of its natural oils. It contains purifying botanical ingredients accompanied by mild acids to gently cleanse your skin to its most supple and clear texture. If you’re someone with sensitive and overly dry skin, this has got to be your holy grail cleanser. Looking for a one-step product to remove your makeup? This versatile cleanser from Neutrogena Naturals is a bionutrient-rich formula that’s free of harsh chemicals, sulfates, and parabens. It works beautifully for all skin types, but if you have sensitive or mature skin, you will especially love the way its formula works. You’re left with soft, cleansed skin without having to give up on its natural moisture. 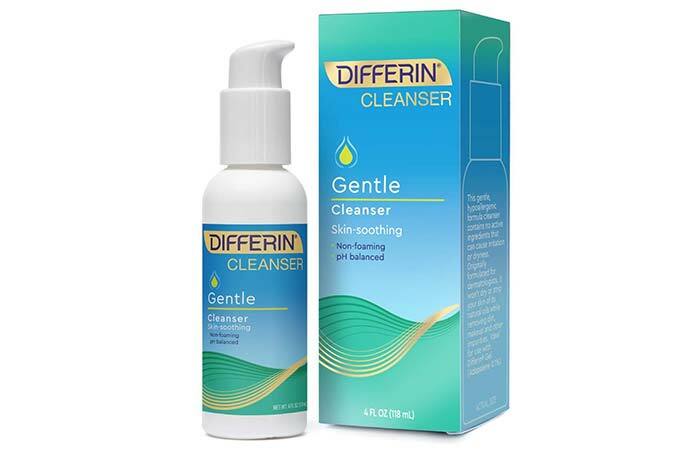 Differin Gentle Cleanser is formulated by dermatologists and is made for every skin type. Its medicated formula is tough enough to remove impurities and tender enough to not dry your skin of natural oils. If you want to amp up its benefits, make sure you follow-up with the Differin Gel. 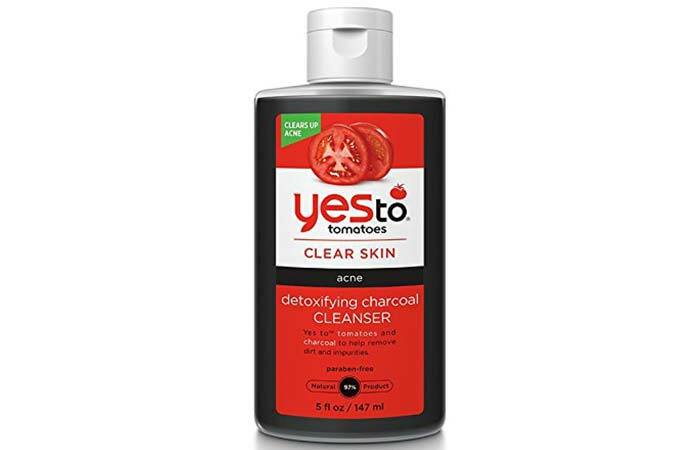 This detoxifying charcoal cleanser offers the right balance of mild exfoliation and non-drying cleansing. Its formula contains charcoal that helps draw out skin impurities from deep within. It also includes tomatoes that are rich in antioxidants, and salicylic acid that prevents future breakouts. If you are someone with oily or acne-prone skin, we highly recommend you to try this. 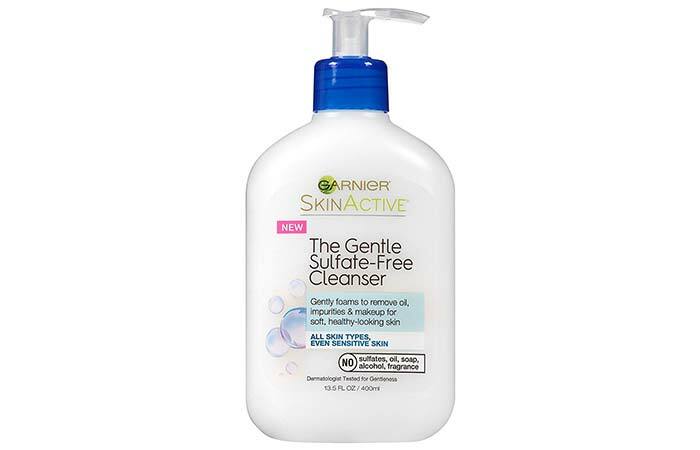 These were the top 20 drugstore face cleansers. 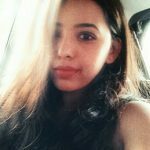 If you can’t seem to find the ideal cleanser for your skin, here are a bunch of tips that will come in handy for you. Before you make your purchase, you have to identify your skin type. Is it oily, dry, combination, or normal? Do you have acne? Do you have mature skin? Is your skin sensitive? Once you understand what your skin type is, choosing a cleanser becomes a whole lot easier. Avoid anything that is too harsh even if your skin isn’t all that sensitive. For instance, sulfates are nothing but added synthetic detergents to form lather when combined with water. It is always better to pick a cleanser that’s free of unnecessary chemicals. Buy smaller tubes first, so you can test out your cleanser. If it suits you, you can always go buy more. Washing your face may seem pretty basic, but it is the first step to a healthy, glowing complexion. Make sure you pick the right products for your skin to help address its needs. Your skin care routine doesn’t need to be crazily elaborate to be effective – the right products make a world of a difference. That was our round-up of the 20 best drugstore face cleansers. Which one are you looking forward to trying? Let us know in the comments section below.